Be Sociable, Share this Post! No matter what industry you’re interested in going into as part of your career, the fact remains that you’ll need to have management skills. That’s because every industry has its own management chain—so being able to work your way up that chain will require you to demonstrate the ability to manage various aspects of the business, including other employees. So, what kinds of management and leadership skills are the most valued in today’s workplace, and what steps can you take to assess and manage your own skills? We’ve got you covered. What Are Some Examples of Management Skills? 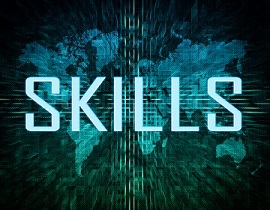 The specific skills you’ll need will really vary depending on your industry. However, generally speaking, there are a few key effective management skills that will help you get far in just about any job or career. Time management is a major one. Being able to make smart decisions regarding how to best use your time by prioritizing tasks in the short- and long-term is a must. By learning how to juggle multiple tasks at once and manage your time wisely enough to complete them all as needed, you can prove yourself extremely valuable in the workplace. Time management skills also apply to finding a balance between your personal life and your professional one. If you plan on moving up the corporate ladder as part of your career, you’ll also need to learn how to manage other people. This can be a challenge, especially for those who haven’t held jobs with this kind of responsibility before. Employee management skillsinvolve being able to create and manage teams to get things done, resolving potential disputes between workers, providing training, and encouraging/motivating workers to do their best. These days, many employers also look for workers with strong business planning skills. This means being able to see the “big picture” when it comes to running or helping manage a business. This could be anything from taking care of the daily operations of a business to helping onboard new employees. In addition to these different types of management skills, you will also need to be effective in making decisions (sometimes on a tight time schedule), communicating with others, and setting an agenda. Wondering where you stand when it comes to your current management skills? It can be wise to consider the type of experience you have when it comes to being in a supervisory or management position. If you’ve never held a management position, this isn’t to say you don’t possess some of the skills on the management skills list, but there’s a good chance that you have some room for improvement. If you are currently in a management position or have been at some point in your life, asking for feedback from those with whom you worked can provide you with some helpful insight into the areas where you could use improvement. No matter where you currently stand, the good news is that there are plenty of ways to go about improving on your management skills list. For example, you may want to consider enrolling in some actual business management classes. This can be an excellent investment in your future, especially if you’re thinking about starting your own business at any point in your life. Management courses will help you develop the skills you need to succeed in just about any industry, providing you with the hands-on experience and classroom education you need to be a more confident and capable leader. There are even business management certificates and degrees that you may want to consider pursuing if you’re serious about working in such a position someday. Developing top management skills and having an official degree or certificate will not only set you apart from other candidates when the time comes to apply for management jobs, but will help you go further in your career as well. Now that you have a better idea of what management skills examples you need to have to be successful and how to improve upon your own skills, all that’s left to do is to find a reputable program in which to enroll. From there, you can begin taking courses and learning more about what it takes to be a successful manager or leader in any industry. Having these kinds of management skills will certainly serve you right when you’re able to get into a successful and rewarding career down the road. These days, strong communication skills are one of the best qualities you can have when applying for a job or promotion. Employers recognize the value of excellent communicators in the workplace and reward them well as a result. By understanding why communication matters so much in your career and what specific types of communication strengths are today’s employers looking for, you can take the necessary steps to improve your own communication abilities. Why Are Communication Skills Important in the Workplace? There are countless reasons as to why effective communication skills are vital in the workplace. For starters, unless you’re a freelancer who works entirely on your own (which is an extremely rare position to be in), you have to work with others as part of your job on a daily basis. Whether you’re working directly with customers/clients, with other co-workers, or with bosses/superiors being able to communicate successfully is key to performing your job. You need communication abilities to talk to a supervisor about a potential problem in the workplace, just as strong communication can help you land that sale with a new client. More than likely, you can think of a situation in your past where somebody you worked with wasn’t a very strong communicator. That person’s lack of communication probably led to problems in the workplace, such as missed deadlines, misunderstandings with clients/customers, and the like. A better question would probably be “what jobs don’t require strong communication abilities?” Some Examples of Communication Skills would be: if you imagine any job where you work with people (whether it be co-workers or clients) then you have an example of a job where communication is important. Even a job where you work primarily on your own and independently can require these skills. For example, say you work as a medical transcriber, which means you take dictated recordings of doctors’ findings and turn them into a written text. Most of your work day is spent working in front of your computer and typing. This is a very independent job. Still, there are times when you may need to contact the physician or doctor to clarify something, or situations where you need to answer immediately to a supervisor or manager. In these cases, communication is just as important to your job as it would be if you worked in a job where you do a lot of daily interaction with others. What Communication Skills Do Employers Want? Depending on the type of job you’re applying for, presentation skills may be very highly favored, so be sure to list in your resume if you have any specific experience speaking at a particular conference or event. Furthermore, keep in mind that communication doesn’t always mean speaking face-to-face; many employers these days look for prospective applicants who have strong writing skills, as more and more jobs require written communication in the form of e-mails, memos, and the like. In fact, for those who aren’t very strong public speakers, having strong written communication abilities can be a great advantage. As you can see, having strong communication skills is a must in any career or job these days. Effective communication keeps a workplace running smoothly and keeps customers/clients happy. Now that you have a better idea about the importance of communication skills, what steps are you ready to take to improve yours? If you’re interested in a career in finance at the government level, then you may be wondering how to become an auditor. This can be a very challenging, interesting, and rewarding position—especially for those who enjoy crunching numbers. All levels of government typically hire their own internal and external auditors, so whether you envision yourself working for a city, state, or even the Federal government, you can land an auditor position with the right amount of education and experience. What Does an Auditor Do? Before you decide that an auditor position is right for you, it’s helpful to understand what an auditor does—especially one who works for a government agency. Essentially, government auditors work to ensure that public funds are being used as mandated and that those spending the funds are doing so in such a way that follows regulations and laws. Government auditor positions are especially important due to the accountability that comes with appropriating and spending public funds. So, now that you understand the answer to the question “what does an auditor do?,” you’re probably wondering how to become an auditor, and specifically, how to become an auditor for the government. Well, there are a few steps you’ll need to follow. Wondering if you need a degree to become an auditor? For starters, you’ll need to complete at least an Associate’s degree in a relevant field, such as accounting, business management, or even financial record-keeping. Depending on the level of government at which you want to work, you may be required to have a higher degree, such as a Bachelor’s or even a Master’s degree. While a degree is typically the main requirement in terms of how to become an auditor, most government offices will also prefer that you have a certain amount of experience working in your field. This is where it can be helpful to complete an internship (whether it be with a government agency or elsewhere) prior to applying for government-level jobs. Many government offices hire interns in auditing positions and go on to hire them full-time at the completion of their internships. You may also find it beneficial to become a certified auditor. For more information please visit The Institute of Internal Auditors. You may also google the phrase “How to Become a Certified Auditor” for more information on this topic. Of course, even if you cannot find an internship, you can always gain experience by working with a private firm for a year or so before applying to government positions. Not all offices will require prior experience, but in a competitive job market, it can certainly help. Now that you have a better understanding of how to become an auditor for the government, the next step is to find the degree program that’s right for your needs. From there, you’ll have figured out how to become an auditor and will be well on your way to a successful career in a government position. If you’re interested in getting into the medical field but don’t want to go through several years of schooling, then a career as a home health aide may be right for you. Specifically, a home health aide travels directly to patients (often senior citizens) to provide the general assistance they need. Job duties can include anything from basic housekeeping, bathing and dressing, toileting, observing the patient’s health, meal preparation, and helping them take better care of themselves overall. Why Become a Home Health Aide? There are many reasons as to why you may want to consider becoming a home health aid. Many who work in this field enjoy the personal interaction they get to have with patients on a daily basis; they enjoy visiting patients in their own home and making sure they’re doing well, taking care of themselves, and completing the housework they need done. Typically, the types of people who would do well as a home health aide are those who enjoy helping others and those who don’t mind working independently (though you will still be under supervision by a health aide manager or supervisor). Some people considering this career find themselves trying to decide between this option and that of going into nursing. While there’s no universal answer for the question of which option is better (becoming a HHA or CNA), it is worth noting that many people choose to become an HHA due to the fact that it takes less time. However, salaries for CNAs tend to be higher than HHAs, with the typical salary of an HHA being just under $20,000 per year, and the top 10% making around $30,000 per year, according to an InnerBody.com careers page. Of course, salary specifics can vary based on your level of experience and where you work. What is Home Health Aide Training? It’s worth noting that there are no formal education requirements for becoming a home health aide. Most who work in this field have a high school diploma or equivalent degree (such as a GED). In most states, home health aides are required to be at least 18 years of age before they can take their certification exams and begin working in the field. Even though there are no formal education requirements to become an HAA, there are some prep. schools that offer classes and programs for those interested in this type of career. It may be worth looking into enrolling in one of these programs, as doing so can be a great way to enjoy more exposure to different aspects of the job and to gain experience before sending out resumes and interviewing for actual jobs in the field. Not to mention, most employers are more likely to choose a health aide who has gone through specific education and training than somebody who has not, which can make all the difference—especially in today’s competitive healthcare market. Some states do require formal training for those who want to work as HHAs. The training itself is usually conducting by a Registered Nurse (RN) and will involve a number of scenarios, training modules, and demonstrations. In most states, you need anywhere from 75-125 hours of hands-on training to reach this point.Once the RN has determined that you’re fit for working in the field, you may also need to pass a licensure or certification exam (again, this will depend on the state in which you live). 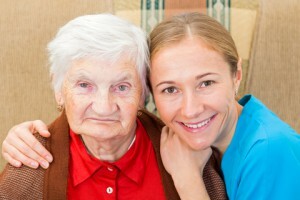 Home Health Aide Agencies verses Private Employment? As a home health aide, you may choose to work in private home health aide jobs or you may choose to work thru home health aide agencies. As a private aid you most likely will not have the advantage of having benefits that a company has to offer. You will also be responsible for paying your own payroll taxes. Should you choose to work for a health aide agency, this will all be taken care of for you and you will also have the advantage of being offered benefits. For your own protection, it is important to have coverage thru a workman’s compensation policy. It is usually more cost effective to obtain this coverage thru an agency. Additionally, you may be offered health and dental coverage, sick and vacation days. Every agency is different so it is advisable to check the benefits each agency offers. Another positive to working for an agency is that most home health aide agencies are usually looking for qualified candidates and are always hiring. How Much Are Home Health Aide Classes? Whether you live in a state where a formal education is preferred or you simply want to have the upper hand on other job applicants, the fact remains that you may be wondering what to expect in terms of cost. Well, the cost of HHA courses can vary greatly from school to school and will also change based on where you live and how many hours the course covers. In most cases, a standard training course open for enrollment will provide you with at least 75 training hours (which is required by most states) and will cost around $500 when all is said and done. This will include course fees, registration fees, tuition, and any necessary supplies that you may need to the complete the course/training. Some course may also include the cost to take your license sure or certification test. If so, then you can expect the cost for the class to be a little higher. Fortunately, if you’re unsure as to whether or not you can afford home health aide training and education, the good news is that there are some great financing options available through most schools that will help make it more affordable for you. If you’re the type of person who enjoys helping others and would like to incorporate some travel into your daily work as well, then this could be the right career choice for you. Overall, working as a home health aide can be an extremely rewarding experience, with no two work days being exactly the same. When seniors begin to have trouble when it comes to caring for themselves, they often find themselves in need of some form of home health care. Home health care defined is as follows: Specifically, home health care refers to medical and other care services provided in-house, allowing patients to remain in the comfort and convenience of their own homes while still receiving the care they need. The people who care for them are typically a combination of home health aids and home care nurses, both of which provide different levels of care and assistance to their patients but have the same overall goal: to provide the highest level of care possible. Who is Home Health Care For? Technically, anybody can request home health care. However, the elderly population is the most likely to receive this type of care. Often times, as seniors reach a certain age, they find that they have trouble caring for themselves and getting things done around the house. At the same time, they aren’t comfortable with the idea of having to move into a nursing home or other care facility; they want to remain the comfort and familiarity of their own homes. This is where having home health care can be so helpful; seniors are able to receive the care they need from home health nurses along with basic assistance with things like housekeeping, bathing, and grooming from home health aides. In many cases, a state-funded Medicare program will take care of these kinds of costs for the patients as well. However, long-term care insurance and personal health insurance plans may also pick up the bill. In some cases, for those who don’t have insurance, there are assistance programs available to make this type of care more affordable. After all, home health care cost can vary greatly from one patient to the next depending on their specific needs and even where they live. So while seniors are the most common people to use home health care service, just about anybody who needs medical assistance around the house can may receive this service. For example, somebody who has been temporarily immobilized due to an accident or injury may very well benefit from such a service. What Does Home Health Care Provide? 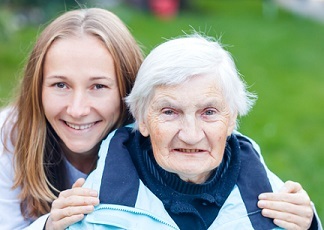 There is a wide range of services that home care can provide to a patient depending on their unique needs. The types of services provided can also vary greatly depending on whether the patient is seeing a home health nurse or a home health aide, as there is a difference between the two in terms of what they can and cannot do to help a patient. Generally, home health aides will function as basic caregivers of sorts. They will help with basic housekeeping, such as making sure the trash is taken out and assisting with laundry. For patients who need it, they can also help with self-care tasks such as bathing and grooming. However, they can’t do much in the way of providing medical care. They do keep an eye on how the patient seems to be doing both mentally and physically, and will provide information to a home health nurse in the event that the patient seems to need a higher level of medical care in-house. On the other hand, a home health nurse can become a little more involved when it comes to treating patients. For example, these certified nurses are able to administer medication to patients who need assistance with that, although they are not able to prescribe them. They also typically report directly to the patient’s personal physician, so any potential changes in his or her medical situation can be recorded and handled appropriately. Why Work in Home Health Care? There are so many reasons to consider working in this field, regardless of whether you think you’d be a better match for a job as a home health aide or even a home health nurse. The main difference between the two is how much schooling and training you’re willing to go through. In order to work as a registered health care nurse, you will need to complete anywhere from two to four years of schooling for your Associate’s and/or Bachelor’s degree. However, it’s also worth noting that the average salary for a registered health care nurse is a bit higher than that of a home health aide, though the latter doesn’t require you to obtain any formal education in order to land a job in the field. Another option is to pursue a career as a CNA or certified nursing assistant. To find out more about this profession, nursing careers and other Home Health Care Jobs that include working as a home care assistant or personal aides, please visit the Nursing Degree Guide. Either way, if you enjoy helping others and taking on a care giving role, then working as a home health aide or nurse can be a very rewarding experience and a career you will be happy with for many years to come. What are the Benefits of Home Health Care Agencies? Home health care agencies also provide career opportunities for those with a desire to work in the home health care field. Working for a Home health care agency offers advantages for both the home health care professional, as well as the patient in need of services. You may be tempted to place an ad in a local newspaper that advertises private in home caregiver needed. Be aware should an aid become injured while working privately in your home in Private Home Health Aide Jobs, you (the client) may be liable. In most cases, if you choose to obtain services thru an agency, they provide workmen’s compensation in the event an injury occurs. They also perform other administrative duties that include withholding of payroll taxes, the screening of job candidates, verification of credentials, and may bond and insure the job candidates. The best way to ensure what the agency offers is to ask them if they provide the aforementioned benefits and what other benefits they provide to their clients. Now that you know a bit more about home health care cost, what goes into working in this field, and what types of care that can be provided, you can make a better informed decision as to whether or not this is the right path for you. If you’ve got a passion for helping animals and want to make this your career, then you might be wondering how to become a veterinarian. Like many positions related to the medical field, you should be advised that there is a fair amount of education and training required. Still, if you have the dedication and can meet the requirements to become a veterinarian, you can enjoy a truly rewarding career saving the lives of all kinds of animals. According to the Bureau of Labor Statistics, the demand for veterinarians is expected to grow about 12% in the next 10 years, making this a great career path for those who want job security as well. Wondering what education is required to work in this field? The first step in terms of how to become a veterinarian will be to obtain a Bachelor’s degree, preferably in a related field (such as Animal Science). 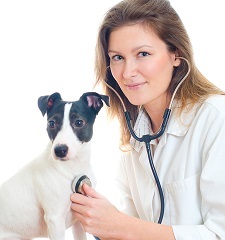 Upon completion of your Bachelor’s degree, you will need to apply to some dedicated veterinarian schools. Specifically, these will need to be Doctorate programs, as veterinarians in the United States are required to have a Doctorate degree (just the same as a traditional doctor). Completing all of your schooling can easily take 6-8 years, depending on how many credit hours you take each semester. Therefore, you’ll need to make sure you’re fully dedicated to becoming a veterinarian before you enroll or even begin applying to veterinarian schools. Is a license required to work as a veterinarian? Once you’ve completed your educational requirements when it comes to how to become a veterinarian, it’s time to get licensed. Specifically, you will need to take and pass the North American Veterinary Licensing Exam (NAVLE); your studies up to this point should provide you with more than enough preparation to pass this exam. However, depending on the specific state where you’re looking to get licensed, you may also have additional exam requirements to complete before you can be licensed. After you’ve received your license, you’re well on your way in terms of how to become a veterinarian. However, you’ll still need to gain some experience in the field before you can be viewed as a reputable veterinarian and perhaps land a full-time position. Most newly licensed veterinarians end up interning for a year or so before they’re able to find a full-time position. Consider applying for internships at your local veterinarian office, animal hospital, or even zoo. During this time, you may also consider becoming certified in relevant specialties, which will make you more competitive on the job market. Overall, working as a veterinarian is an excellent choice for those who have a passion for helping animals. By being aware of the steps necessary in how to become a veterinarian, you can be prepared for the years of education and experience to come. If you’d enjoy a career helping others lead a healthier lifestyle, you may want to look into how to become a dietitian. Generally, people who succeed as dietitians enjoy working with other people and love to see others achieve their goals. They also tend to be health conscious and care about what they put into their bodies. If this sounds like it’s right up your alley, then it may be worth exploring how to become a registered dietitian. You’ll want to have a solid understanding of what a dietitian does, and what the job entails before you even worry about how to become a dietitian. 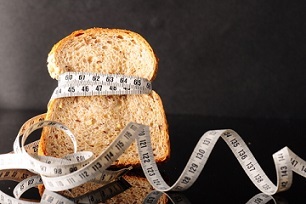 Specifically, registered dietitians are experts on nutrition and typically work one-on-one with people who want to lose weight or simply make healthier life choices. A dietitian may assist a client in developing meal plans, providing accountability, and even helping to educate clients on nutrition so they can make better decisions. How Much Does a Dietitian Make? According to US Money, the average salary for a registered dietitian is $55,920, though the top 10 percent of earners in this field brought in closer to $80,000 per year. If you’re wondering “how much does a dietitian make?” it’s important to realize that this can vary depending on the level of experience a dietitian has, in addition to where he or she is practicing. Still, even at the entry level, you can make a decent salary as a dietitian. What Does it Take to Become a Dietitian? Now that you have a better idea about how much a dietitian makes, you may be wondering, “how long does it take to become a dietitian?” and how to become a dietitian. Well, this can vary depending on how many courses you can fit into your schedule each semester. For a full-time student enrolled in an undergraduate Nutrition and Dietetics program, you’ll probably need to be in school for about four years before completing your degree. If you decide to pursue a master’s degree (which is not required to practice but is encouraged), you’ll likely be in school for an additional two years. Once you’ve completed formal schooling, the next step in the path of how to become a dietitian is to take your registration exam. You will need to pass the exam in order to become officially registered, at which point you’ll be eligible to begin practicing. You may choose to take on your own clients or look for a place that’s hiring dietitians. Something important to take note of before pursuing this career is to learn the difference between how to become a nutritionist verses how to become a dietitian. Nutritionist and Dietitians are both skilled experts in food and nutrition. Both professionals are considered to be healthcare professionals, but be careful not to use the titles interchangeably. All nutritionists are not dietitians, but dietitians are nutritionist. This can get a little confusing for students entering into the healthcare field whether it be pursing a career as a nutritionist or a dietitian. For more information review the article What’s the Difference Between a Dietitian and a Nutritionist. Now that you have a better idea of what it takes to become a registered dietitian and answers to the question of “how long does it take to become a dietitian?”, you may want to consider exploring accredited Dietitian degree options. From there, you can put your knowledge of how to become a dietitian to use. Dietician Degree Online – A BS degree also consists of a supervised practicum experience…. With the increasing number of publications out there these days (especially online), there’s a large demand for editors, so those who have an interest in this type of position may find themselves wondering how to become an editor, in addition to questions like, “what is an editor’s salary?” While typical salaries can vary from state to state and position to position, the average editor can expect to make around $50,000 per year, according to Forbes. However, you can’t typically become an editor overnight; there are some steps you’ll want to follow for the best success. 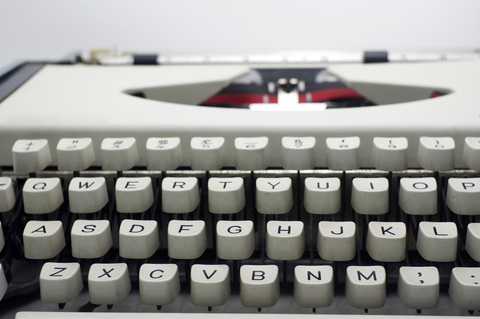 An editor works to perfect articles by proofreading, and correcting written material. Editors can work in many different areas such as magazines, advertising, and for newspapers. If your interested in reading more on what is an editor, click here. You don’t need to be 100% set on one type of editing, but having an idea of where your interests lie can help. What are the requirements to be an editor? While you may not need a college degree in all situations in terms of how to become an editor, it certainly helps. A degree in English, Communications, Journalism, or a related field can provide you with the education and experience needed to be successful as an editor down the road. A Bachelor’s degree or even a Master’s is a great stepping stone. However, you’ll also want to gain some real-world experience in the field as much as possible while in college. Once you have your degree, it’s time to put yourself out there in the last step of how to become an editor. If you want to go into publishing, for example, you might be wondering how to become an editor for a publishing company and “what is an editors salary?” in such a position. Generally, when it comes to how to become an editor for a publishing company, you need to start as a proofreader. From there, you can work your way up to an editor. In other industries, however, your degree and previous experience could be enough for you to land an editing job off-the-bat. If you can’t find immediate work, you can always explore editing on a freelance basis. This can be a great way to gain experience and earn money while working from home as an editor. From there, you can network and expand your horizons. Are you interested in pursuing a career or picking up some extra editing work and want to know more about how to get freelance editing jobs? Check out this freelance job site where you can work from home, and pursue book editing and other freelance job opportunities on Upwork.com. Here you’ll find many jobs that offer a variety of editing jobs from book editing, to video editors, voiceover editing and more. Now that you have a better idea of how to become an editor and what is an editors salary, you can make a better decision regarding whether or not this is the right career for you. If you enjoy helping others and are looking for a rewarding career to explore, then you might be perfect for one of the many open caregiver jobs available. As a caregiver, you’ll have the opportunity to help people in need with their day-to-day activities, assisting them in living an enjoyable and healthy life. If this sounds like a career for you, then you’ll want to make sure you know what steps to take in order to become a licensed caregiver in your state. As a caregiver, you’ll have the opportunity to develop a close relationship with the people you care for, which many in caregiver jobs find to be rewarding. What education is required to become a caregiver? If you’re interested in working in caregiver jobs, you’ll need to start by having a high school diploma or equivalent (GED). While some caregiver agencies used to hire those without diplomas, this is becoming less and less common these days. From there, you’ll also be required to have some basic training, including emergency response certification (such as knowing CPR). Depending on the state in which you live, there may be further educational requirements, such as completion of a vocational school program as well. Wondering what skills and requirements are needed to work as a caregiver? In addition to the basic training and education requirements, most caregiver agencies will also need you to have some important skills before you can begin working in caregiver jobs. For example, you’ll need to have excellent interpersonal skills, as a large part of most caregiver jobs will involve working one-on-one with others. Because you’ll also be responsible for keeping your clients on a schedule, you must also have great time-management skills to ensure medications are taken on time and that your clients are otherwise kept on their schedules as needed. You’ll also need some basic strength, as your job may involve assisting clients into the bath tub, bed, or in and out of vehicles. Overall, working as a caregiver is a great option for those who want to help others, but don’t necessarily want to spend years in school to become a nurse or other healthcare aide. By obtaining the necessary training and education, you could be eligible for many of the caregiver jobs that are currently available. Private in Home Caregivers – Different scenarios are presented and information is given on what actions to take. Here you will find information on where to start if you are looking for private in home caregivers. Agencies for Caregivers – Different scenarios are presented that explain what an agency offers verses private pay home health workers. These days, those with experience in the nursing field can very well begin working in nursing jobs from home. This is an excellent option for experienced nurses who want to enjoy the convenience of working from home while still being able to help those in need. For those interested in the opportunity for work at home employment, there are a few specific nursing jobs worth looking into and applying for. Many companies these days hire work-from-home nurses for case management positions. With these positions, the nurse’s main job is to work with patients who have filed disability claims due to being unable to work. Case managers evaluate these claims on a case-by-case basis, staying in close communication with physicians, therapists, and the patients themselves. Ultimately, their goal is to help patients through their claims while developing a long-term plan to get them back to work. Those interested in this type of position should have an RN license in addition to three to five years of experience in working with disabled patients. What does it take to become a telehealth nurse? These days, the need for telehealth nurses has grown greatly, according to a FlexJobs.com article. Specifically, telehealth nurses accept phone calls from patients and answer basic health-related questions. Patients may call in, for example, with a description of their symptoms. From there, these work-from-home triage nurses can provide them with medical advice based on the information given to them. In some cases, they may refer patients to a doctor or local hospital. To become eligible for telehealth nursing jobs from home, you should at least have an Associate’s degree in Nursing, along with a preferred three to five years of experience in the field. Additional experience with documentation and clinical assessment is also a bonus. Registered nurse employment from home is also an option. Last but not least, there’s also the option of working in medical transcription for those who are interested in working in nursing careers from home. Essentially, those who work in medical transcription, from doctors to physicians, take notes and turn them into administrative documents. It is possible to secure a degree in medical transcription (usually through completing a certificate program at an accredited school), but registered nurses can also be eligible for these jobs with the right amount of experience in the administrative side of nursing. The growth in demand for transcriptionists has been steadily on the rise for years, and only shows signs of increasing further. For those interested in work at home employment and working in nursing careers from home, these positions are all worth looking into. From administrative roles to nursing jobs from home that allow one to continue working directly with patients, there are plenty of options that provide a rewarding job and flexibility as well. Copyright © 2012 GoGetterCareers.com All Rights Reserved.